Increasing interest and debate about bowel cancer in younger patients in the NHS (including amongst commissioners), academics and policy makers. Lynch syndrome testing to be rolled out at diagnosis for all under 50 patients. A working group to be set up by Public Health England to look at surveillance screening of high risk groups including those with Lynch syndrome who often present under 50. Progress is being made but clearly there is a long way to go. Therefore in order to keep building the campaign, Bowel Cancer UK have just launched a new survey looking at what has changed for younger people with bowel cancer over the last two years. If you have a moment, Bowel Cancer UK would be grateful if you could complete the survey here and share the link on social media if appropriate. It should take no longer than 15 minutes to complete, and your experiences will help Bowel Cancer UK continue to lead the change for everyone affected by bowel cancer. Bowel Cancer UK and clinical experts are urging all hospitals across the UK to implement Lynch syndrome testing at diagnosis for everyone with bowel cancer under the age of 50. Lynch syndrome is an inherited condition which causes over 1,000 cases of bowel cancer in the UK every year, many of them in people under the age of 50. However, fewer than 5% of people with Lynch syndrome in the UK have been diagnosed. Testing everyone with bowel cancer under the age of 50 at diagnosis for Lynch syndrome will help identify family members who may carry Lynch syndrome and be at risk of bowel cancer. It has been shown to be cost effective for the NHS, and is recommended by the Royal College of Pathologists and British Society of Gastroenterologists. It is also a key recommendation in our Never Too Young campaign. People with Lynch syndrome should then access regular surveillance screening, which can detect bowel cancer in the early stages and has been shown to reduce mortaility from bowel cancer by 72%. Despite this, testing and surveillance screening are patchy across the UK. A letter in the Daily Telegraph (13 November 2014) from eight leading clinical experts supports our call for all hospitals to implement Lynch syndrome testing at diagnosis for people with bowel cancer under the age of 50. There are more than 1,000 cases of bowel cancer a year that are attributable to Lynch syndrome (LS), many under the age of 50. LS is an inherited condition that predisposes individuals to bowel and other cancers, with a lifetime risk of around 70 per cent. Yet in the UK we have identified fewer than 5 per cent of families with LS. 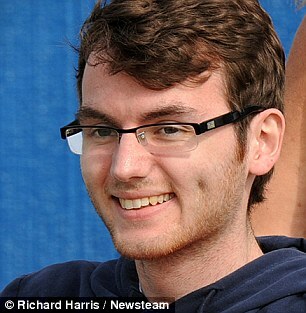 The family of Stephen Sutton, who was diagnosed with bowel cancer and whose father has LS, was one of them. It is a consistently under-recognised, under-diagnosed and inadequately treated condition. Both the Royal College of Pathologists and the British Society of Gastroenterology recommend testing everyone with bowel cancer under the age of 50 at diagnosis to help us to identify family members who may carry LS and be at risk of bowel cancer. Yet testing is patchy. We urge all hospitals across the UK to implement this guidance. This testing would mean people at risk could access surveillance programmes for regular colonoscopies, helping detecting bowel cancer early but also preventing it. Patient groups such as Bowel Cancer UK are in support. A recent NHS study found that LS testing at diagnosis for everyone under 50 with bowel cancer would be cost effective enough to have been approved by NICE. The evidence is overwhelming. We must end this postcode lottery. Bowel Cancer UK will be writing to all Clinical Commissioning Groups and Health Trusts in the UK asking them if they have implemented systematic Lynch syndrome testing, and we will report back on the responses. In the meantime, please share our infographic on the subject on social media to help raise awareness of the issue. Give £5 now to support our Never Too Young and help stop younger people dying from bowel cancer. To apply, complete the application form and send to nwlh-tr.StMarksAcademicInstitute@nhs.net. For further information, view the programme and brochure for the course. If you have any questions, please feel free to contact the Academic Institute. Lynch Syndrome (LS), formerly known as Hereditary non-polyposis colorectal cancer (HNPCC) is a familial cancer syndrome; affected individuals have disease-associated mutations in one of a number of key genes involved in normal DNA repair processes (most commonly the MLH1, MSH2, MSH6 and PMS2 genes). This results in a significantly increased risk of developing certain forms of cancer, notably colorectal (bowel) cancer but also endometrial and ovarian cancers and a number of others. 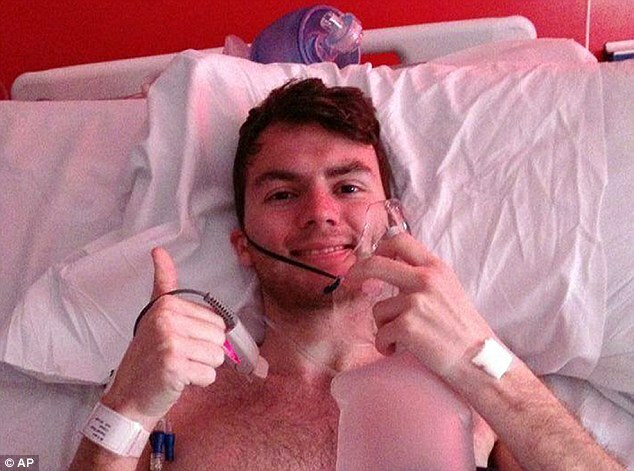 Teenager Stephen Sutton, who raised millions of pounds for cancer research, had a family history of the syndrome. The test for this condition is used in some UK hospitals but has not been rolled out nationally. It is offered to all bowel cancer patients in Denmark, and to patients under the age of 70 in Norway and the Netherlands. New research published as a formal Heath Technology Assessment has examined the efficacy and cost-effectiveness of alternative strategies to diagnose LS in patients with early-onset colorectal cancer – those younger than 50, 60 or 70 years of age. The researchers compared the alternative approaches of microsatellite instability (MSI) testing or immunohistochemistry (IHC), including economic data. Analysis of the available evidence showed that testing for LS newly-diagnosed colorectal cancer patients aged under 70 years is indeed cost-effective. No specific method emerged as a clear ‘gold-standard’ for testing but the most cost-effective approach was found to be the use of MSI and BRAF mutation testing; cascade testing of at-risk family members was recommended for all strategies. Efforts to review the alternative techniques and develop a consensus optimal strategy for national implementation have been in progress for many years. Dr Ian Frayling of Cardiff University‘s Institute of Medical Genetics, one of the researchers, told the BBC: “Now the cost of genetic testing is coming down there is a good argument for younger bowel cancer patients to be screened. It will save lives and save money for the NHS”. Deborah Alsina, chief executive of Bowel Cancer UK, said while bowel cancer is relatively rare in people under 50, 550 people in this age group lose their lives to the cancer each year. Hayley Hovey was 23 weeks’ pregnant with her first baby when she suddenly woke in the middle of the night with a sharp, shooting pain in her side. She now knows it was the first sign there was a grave threat to her baby’s life, and her own. Four weeks later her daughter, Autumn, was born prematurely and later died. Then Hayley was found to have bowel cancer. Doctors now think Autumn’s death was linked to her mother’s cancer, with a blood clot breaking away from the tumour, damaging Hayley’s placenta and cutting off the food supply to her unborn baby. However, it took four months after Autumn’s death for Hayley to be diagnosed. The problem was her age – she was ‘too young’ for bowel cancer to be considered. Hayley, who lives in Fareham, Hants, with her husband Paul, a 35-year-old IT consultant, says: ‘Looking back, I had textbook symptoms – exhaustion, intermittent stomach pains, increasingly bad diarrhoea, blood in my stools and bleeding. The disease is Britain’s second-biggest cancer killer, claiming 16,000 lives a year. The number of under-50s diagnosed has been gradually rising – to around 2,100 a year. But a recent survey by the charity Bowel Cancer UK of patients under 50 found that 42 per cent of the women had visited their GP at least five times before being referred for tests. Indeed, Hayley, a supply planner for an IT firm, was examined five times by different doctors and midwives, who all missed her symptoms, despite a golf ball-sized lump appearing on her stomach after her pregnancy. By the time she was diagnosed, Hayley had stage three to four cancer, meaning the tumour had broken through her bowel wall. 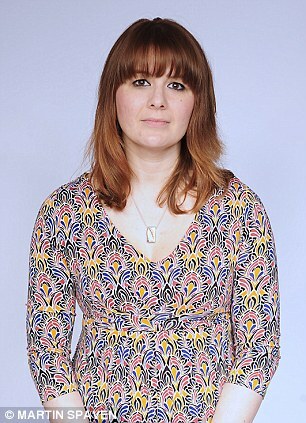 She had to undergo a seven-hour operation to remove the 6cm growth, followed by six months of chemo and radiotherapy. ‘Bowel cancer is often associated with older patients over 50 – but younger people can, and do, regularly get it, as the tragic story of Stephen Sutton recently highlighted,’ adds Kevin Monahan, consultant gastroenterologist at West Middlesex University Hospital, London. 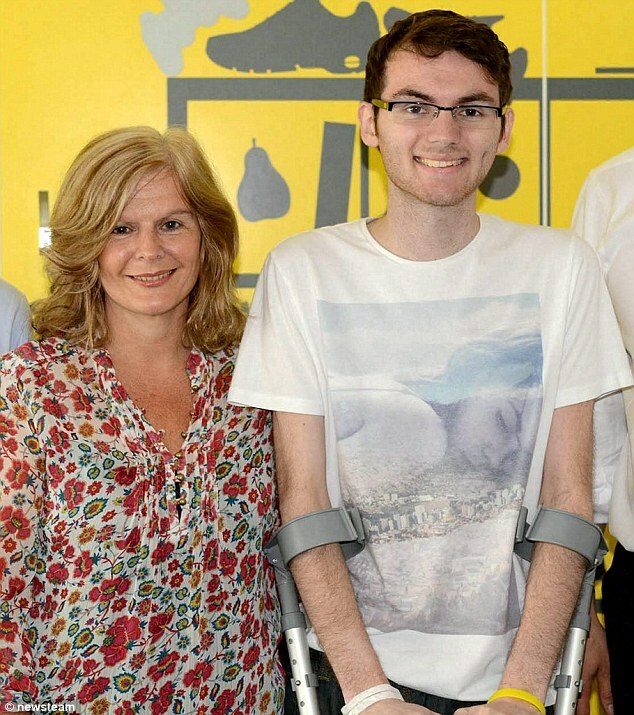 Stephen Sutton, the 19-year-old fundraiser who died last week from the disease, told the Mail earlier this month of his anger that he was not diagnosed for six months after his symptoms started. This was despite his family history of Lynch syndrome, a genetic condition that raises the risk of bowel cancer. ‘If it had been caught earlier, it could have led to a better prognosis,’ he said. Hayley, too, eventually discovered she had Lynch syndrome. Bowel cancer is very treatable if detected early – 93 per cent of patients who are found to have a small tumour on the bowel wall live for five years or more. Yet only 9 per cent of cases are diagnosed at this stage – most are diagnosed at stage three. So, the overall five-year survival rate for bowel-cancer patients is just 54 per cent. Because patients and many doctors assume that young people won’t get bowel cancer, they are particularly likely to have advanced-stage tumours at the time of diagnosis. Cancer charities are campaigning to improve diagnosis for all ages – they want new diagnostic guidelines for GPs and earlier screening procedures. National GP guidelines state only patients aged 60 and over should be automatically referred to hospital for tests if they have one symptom. Patients aged 40 to 60 must exhibit two or more symptoms. Four weeks after Hayley’s initial scare, she was unable to feel her baby moving. Tests revealed Autumn had stopped growing, and she had to be delivered by emergency caesarean. After her birth, in July 2011, she was taken to a specialist neo-natal unit at Southampton General Hospital but died in hospital a few weeks later. Two weeks afterwards, Hayley experienced more shooting pains. With her pregnancy bump gone, there was also a noticeable lump on the side of her waist. Her midwife said it was probably an infection, and Hayley was given antibiotics. But her health deteriorated rapidly and she had to take six weeks off work with exhaustion, which her GP put down to depression. Within three months of Autumn’s death, Hayley was suffering from nausea and abdominal pain. Unable to get a GP’s appointment, she went to A&E but was told the lump was possibly an infection related to her caesarean. Doctors performed a cervical smear test (which was subsequently lost) and sent her home with paracetamol. ‘I got the impression they didn’t take me very seriously,’ she recalls. Soon after, she was vomiting up to ten times a day, feeling dizzy and weak, passing blood and experiencing chronic diarrhoea. At an emergency GP appointment, she was examined by a different doctor who immediately referred her to hospital; after several days of tests, she was diagnosed with cancer. Public awareness is also an issue. A survey in March by health insurer AXA PPP found nearly half of men couldn’t name one symptom of bowel cancer. Martin visited his GP five times in nine months with extreme tiredness and loose stools. His symptoms were attributed to stress – his mother had recently died and he has a high-pressure job as head of capital investment for Cambridge and South Staffordshire Water – and then IBS. ‘But I knew something wasn’t right,’ says Martin. ‘It was instinctive.’ He was finally diagnosed with stage three bowel cancer in November 2008, after his GP did an internal examination and felt a lump. Martin underwent three months of chemotherapy and radiotherapy, followed by surgery, another six months of chemotherapy and a second operation. He now has to use a colostomy bag but has been in remission for five years. Currently, screening is only available to people aged 60-plus. They are sent home tests, which involve sending a stool sample to a lab. But the Department of Health is now looking at a new procedure, bowel scope screening, which involves a partial colonoscopy -examining only the lower bowel. A major UK trial of 55 to 64 year olds showed that people screened this way were 43 per cent less likely to die from bowel cancer, and 33 per cent less likely to develop it. This is because the procedure is usually successful at detecting small growths known as polyps, which can become cancerous. The screening – which would be offered to everyone aged 55 and over – is now being piloted. Campaigners hope it will be made available nationally by 2016. ‘This is a really important development and should make a big difference to bowel cancer outcomes,’ says Dr Monahan, who runs the Family History of Bowel Cancer clinic at West Middlesex University Hospital, specialising in hereditary components of the disease. It won’t, however, help younger patients such as Hayley. Before her chemotherapy, she and Paul had nine embryos frozen via IVF. However she is worried she may pass on Lynch syndrome, so the couple are considering what to do. Our briefing highlights the lack of surveillance screening for younger people at higher risk of bowel cancer. Genetic factors contribute up to 30% of bowel cancer cases, an estimated 8,000-12,000 cases each year. Genetic factors mean a strong family history of bowel cancer, or genetic conditions such as familial adenomatous polyposis (FAP) or Lynch syndrome. People with long-term inflammatory bowel disease are also at higher risk. People in higher risk groups are likely to develop bowel cancer much younger than the general population. Clinical guidance recommends that people in high-risk groups should be in a surveillance screening programme, which is proven to reduce deaths in these groups. People diagnosed are not routinely tested for genetic conditions, and only a third of centres identify and manage high-risk patients through a registry. Even when they are in a surveillance programme, patients may have to wait a long time for their screening colonoscopy. Thirty-five hospitals offering a surveillance programme have a waiting time of over 26 weeks (6 months) for people at higher risk. More than half of centres do not have a programme for managing high-risk groups. 64% of clinicians believed that someone else should be carrying out the surveillance work. Better surveillance screening for those at high risk of developing bowel cancer. Clear information should be made available for GPs and the public on who may be at higher risk of bowel cancer. As people with a genetic condition such as Lynch syndrome typically develop bowel cancer at a young age, anyone diagnosed with bowel cancer under the age of 50 should have a genetic test for these conditions, so they and their families can be included in a surveillance programme. Adequate endoscopy service capacity to ensure that people at high risk do not have a long wait for their colonoscopy. Designation of a single named lead person in each hospital trust with responsibility for a registry of people at higher risk. Full details of our findings and recommendations are in our full report available here. Does your family have a history of early onset colon cancer? If so, your family may have Lynch syndrome. Lynch syndrome may also increase one’s chances of developing cancers of the stomach, small intestine, liver, gallbladder ducts, upper urinary tract, kidneys, bladder, pancreas, brain, skin, and if you are a male, the prostate. Women with this syndrome also are at higher risk for developing cancer of the endometrium, ovaries, and breasts. Approximately up to 1,000,000 people in the U.S. have Lynch syndrome and yet only 5% know it. Genetic testing, along with preventative measures, and annual medical screening may help one take steps to minimize risk of illness and death. Please visit ihavelynchsyndrome.com or Lynchcancers.com for more information. In new recommendations published in the Journal of Clinical Oncology, ASCO stated that family history of cancer in first- and second-degree relatives is critical to assessing for familial risk in patients with cancer. ASCO’s recommendations are the first to focus on family history taking specifically in oncology to help determine patients’ personal genetic risk for cancer. Although the current standard in medical genetics, genetic counseling and research settings is a comprehensive recording of three generations, following a review of all available evidence, ASCO concluded that reported family history is most accurate in close relatives and loses accuracy in more distant relatives. For each relative with cancer, ASCO recommends recording type of primary cancer(s), age at diagnosis, lineage (maternal and/or paternal), ethnicity and results of any cancer genetic testing in any relative. Family history information should be recorded at a patient’s initial visit to the oncology provider, and be reassessed if new information about family members diagnosed with cancer becomes available. In a separate analysis of data from ASCO’s Quality Oncology Practice Initiative QOPI®, results showed that of breast and colorectal patients with a first degree family history of cancer, 79.8 percent were documented in their chart and for those with a second degree family history of cancer, 64.6 percent were documented. These results document a greater opportunity for oncologists to maximize the potential of family history taking, and set a baseline for further quality improvement efforts. To address barriers to implementation, ASCO recommends increasing patient education and awareness on the importance of a family history and the significance of a cancer risk assessment for patients and their family. Cancer.Net, ASCO’s patient website, will offer an article and infographic, as well as a cancer family questionnaire patients can download. ASCO also notes that the increasing use of electronic health records (EHRs) can help providers overcome challenges to adopting these new recommendations. ASCO will be providing a comprehensive update of cancer genetics including family history assessment at its annual meeting. For more information about ASCO’s prevention and genetics work, please click here. Lynch syndrome, familial adenomatous polyposis, and Mut Y homolog (MYH)-associated polyposis are three major known types of inherited colorectal cancer, which accounts for up to 5% of all colon cancer cases. 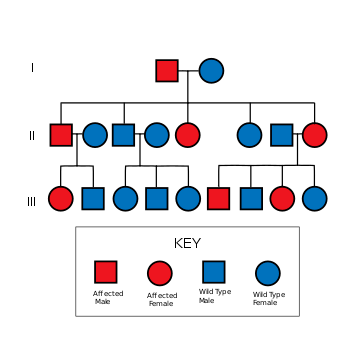 Lynch syndrome is most frequently caused by mutations in the mismatch repair genes MLH1, MSH2, MSH6, and PMS2 and is inherited in an autosomal dominant manner. Familial adenomatous polyposis is manifested as colonic polyposis caused by mutations in the APC gene and is also inherited in an autosomal dominant manner. Finally, MYH-associated polyposis is caused by mutations in the MUTYH gene and is inherited in an autosomal recessive manner but may or may not be associated with polyps. There are variants of both familial adenomatous polyposis (Gardner syndrome—with extracolonic features—and Turcot syndrome, which features medulloblastoma) and Lynch syndrome (Muir–Torre syndrome features sebaceous skin carcinomas, and Turcot syndrome features glioblastomas). Although a clinical diagnosis of familial adenomatous polyposis can be made using colonoscopy, genetic testing is needed to inform at-risk relatives. Because of the overlapping phenotypes between attenuated familial adenomatous polyposis, MYH-associated polyposis, and Lynch syndrome, genetic testing is needed to distinguish among these conditions. This distinction is important, especially for women with Lynch syndrome, who are at increased risk for gynecological cancers. Clinical testing for these genes has progressed rapidly in the past few years with advances in technologies and the lower cost of reagents, especially for sequencing. To assist clinical laboratories in developing and validating testing for this group of inherited colorectal cancers, the American College of Medical Genetics and Genomics has developed the following technical standards and guidelines. An algorithm for testing is also proposed.